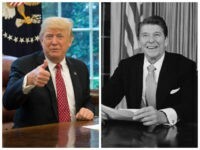 Critics of President Donald Trump are complaining that the White House’s latest economic projects depend on a “rosy scenario” of the economy growing three percent or more. 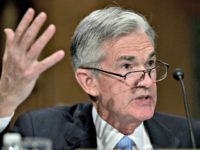 Federal Reserve Chairman Jerome Powell declared 2018 the “best year since the financial crisis” after revealing a late 2018 quarter percent rate hike Wednesday. 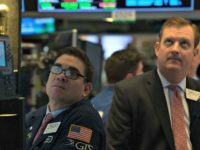 The Federal Reserve announced Wednesday afternoon, less than a week before Christmas, that the Fed will raise interest rates a quarter of a point, from 2.25 to 2.50 percent. 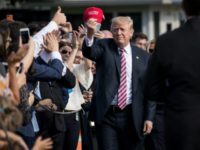 President Donald Trump said “the Fed has gone crazy” in remarks to reporters as he deplaned in Erie for a Wednesday night Pennsylvania rally. 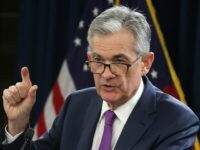 U.S. Federal Reserve officials announced a modest interest rate hike on Wednesday, predicting two more this year as the American economy continues to grow.